The act of adopting a child is a selfless declaration of love by both the birthmother and adoptive parents. When it comes to private adoption, prospective parents have a lot to consider. One major decision that can greatly affect this lifelong experience is the age at which you decide to adopt. Domestic infant adoption will bring a unique set of benefits and challenges over the ups and downs that an older child can bring to the table. 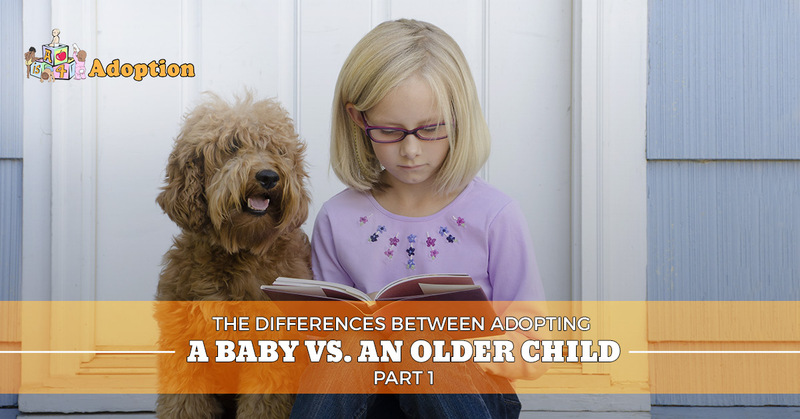 Today, we’ll begin to look at a few key differences here that you may expect as the prospective parent. Your expectations for an adoption agency in California will be more than surpassed when you sign on with A is 4 Adoption. Our adoption center works to provide the best birth mother help and adoptive parent support possible, taking care of everyone involved to best benefit the child in the middle of it all. With personalized plans that are tailored to the individuals, A is 4 Adoption is able to deliver the best services possible. When you’re ready to learn more and take the next step, be sure to contact us! In this field, the term “older children” tends to consist of kids that are at least five years of age. As a private adoption organization, we will classify older children as any minor who is not an infant. If you decide on older children for adoption, you will notice a few key benefits. For one, you won’t have to worry about all of the stressors and efforts needed to raise a baby. New parents who are not fully ready for a newborn will be able to start at an advanced point, avoiding diapers and teething in the process. This can be especially useful for parents who have already adopted or have biological children and do not want to repeat the early stages. Every family is unique, meaning that everyone has their own exclusive lifestyle. If you are at a point in life where you want to undergo the adoption process while avoiding the high level of care infants require, finding an older adoptee may be the best course of action. One thing that many people learn about adoption is that most adoptive parents are seeking healthy newborns. While the wait may be long for general adoption proceedings, adopting a baby can prove to be stressful. Adults who are looking to make a difference as soon as possible can benefit from seeking an older child, as there are many kids who are waiting to be placed into the care of a loving family. You will need to find the right adoption agency for this endeavor, such as the state. Reaching out to make a difference in an older child’s life can feel very rewarding, so be sure to consider the satisfaction of helping a kid in need when deciding to adopt. While older children tend to have slightly higher rates of special needs as far as emotional and educational considerations are concerned, the act of adopting a kid instead of an infant can prove to be beneficial for health needs. Children who are older may have unique health and mental needs, meaning that there will not be as many surprises once you adopt. Adopting a child means you as the prospective parents know what you are about to sign on for. With an infant, the possibility exists for special needs to take years to manifest. The adoption process is one that tends to conjure negative emotions and thoughts of neglect. A is 4 Adoption is here to make the entire procedure faster, more efficient, and more supportive than ever before. We’ll guide adoptive parents through the entire process, as well as offer financial and support services for the brave birth mothers who have made a selfless act of love. Next time, we’ll look at a few beneficial aspects in regards to adopting a baby. When you’re searching for an adoption agency in California, make sure instead to reach out to our center. By focusing on the individual’s needs as well as the child’s, our experienced professionals are able to make this complicated process less intimidating while maximizing efficiency. Contact us today to learn more!